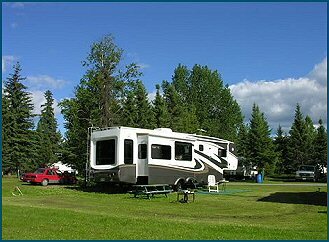 The RV parks listed on this website must be restricted to adults or seniors. Please feel free to submit a basic listing which will include your park/community name, address and phone number. This listing is free and will allow interested parties to contact you for more information. Once your listing has been submitted, please remember to contact us if the information should change. A better option is our Premium listing at $75 per year. This listing includes include basic community information as well as an e-mail address (if you have one), a website address and link (if you have one), up to 10 pictures of the community and an area to list the amenities your park offers. You can list your pet policy, activities, number of lots, etc. It's a great way to make your RV park stand out. This listing will be in bold print, and will appear at the top of the page, before the basic listings. It will also appear, in rotation, on the home page under "Featured RV Park". A Premium listing costs only $75 for one year. Obviously, there is an advantage to being at the top of the list in your city, where more people will see your park and on the home page, where 95% of our visitors initially land. Another option is an Enhanced listing at $55 per year. This listing includes the basic community information as well as an e-mail address (if you have one), a website address and link (if you have one), one picture of the community and an area to list the amenities your park offers. You can list your pet policy, activities, number of lots, etc. It's a great way to make your RV park stand out. This listing will be in bold print, and will appear at the top of the page, before the basic listings. Obviously, there is an advantage to being at the top of the list in your city, where more people will see your community. RV Park submissions will be reviewed and added to the website promptly, normally within two business days. Please check your listing for accuracy and contact us if there are problems or questions.